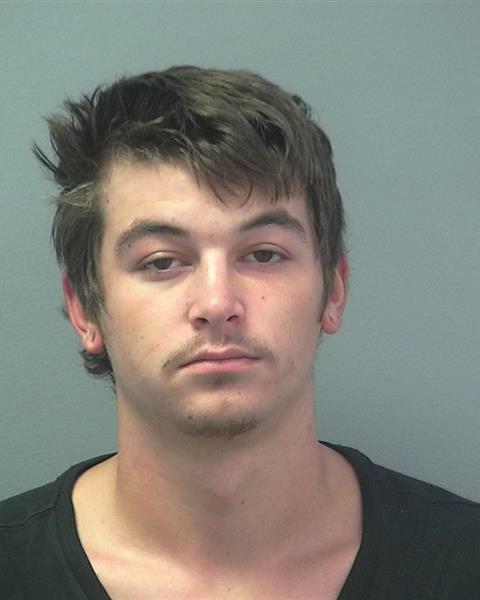 ST. GEORGE — A 19-year-old man was arrested on a variety of charges Sunday after he allegedly tried to pull a loaded handgun on police officers responding to a domestic disturbance call in Mesquite, Nevada. At approximately 11:45 p.m. Sunday, officers were called to an apartment complex to investigate the report of a domestic disturbance that was allegedly taking place between two men, according to a statement issued by the Mesquite Police Department Thursday. While the officers were speaking with the two men involved in the altercation, one of the men – identified as Colten Mora, 19 of Caliente, Nevada – attempted to pull out a handgun that had been concealed in the waist area of his pants, according to the Police Department. Police gained control of Mora and were able to safely take him into custody. “Upon closer examination, the officers found the handgun was fully loaded and had been stolen out of Lincoln County, Nevada,” police said. Mora was subsequently arrested and charged with two felony counts of carrying a concealed weapon (firearm) and possession of a stolen firearm, along with three misdemeanor counts of resisting arrest, possession of drug paraphernalia and battery domestic violence. Due to the felony charges, Mora was transported and booked into the Clark County Detention Center in Las Vegas. Thank you for not using deadly force even though deadly force would have been justified…oh wait, he’s not black. GO FALCONS! Josh seems to have a wee tad of liberal leftism, doesn’t he. “pulled out a handgun“ and “An officer was at a distance and forced to stop the suspect from shooting at him”. Yes, different circumstances, different outcomes. Josh only gets the news he sees posted on the BLM homepage though. This kid should thank the police officers for the restraint they showed. He could’ve easily become a bullet magnet. Sounds like he had a temporary dislike for breathing. He should thank the Officer for the “slap to the side of the head”.